This modern farmhouse entryway is appealing because it’s light and airy, but warm and grounded all at once. 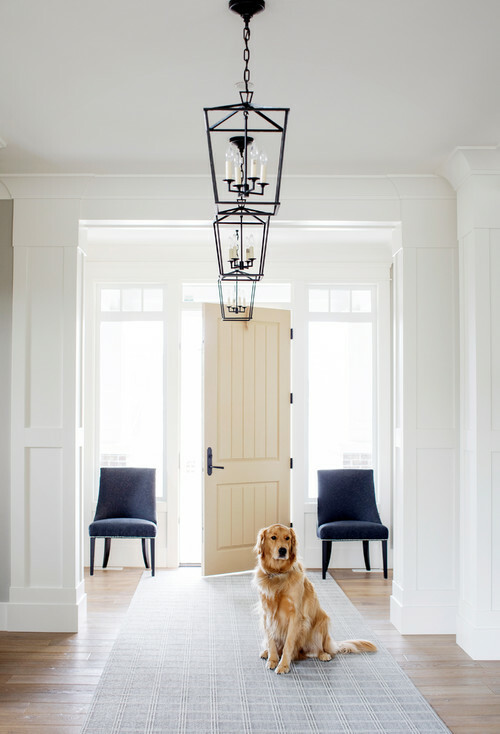 The cream colored door flanked by sidelights brings the light and airy feel, while the textured rug and deep blue chairs ground the space. The trio of pendant lights really top it all off to perfection!